The Project works closely with Native American individuals and communities to provide access to the Wells Petroglyph Preserve. We provide docent-led tours of the Preserve for individuals, families, small and large groups, and students of all ages. The Project also welcomes and facilitates access by Native American groups to visit the Preserve for ceremonial and other purposes. Please contact us for more information. The Wells Petroglyph Preserve was created in 2007 when Katherine Wells donated acreage to the Archaeological Conservancy. 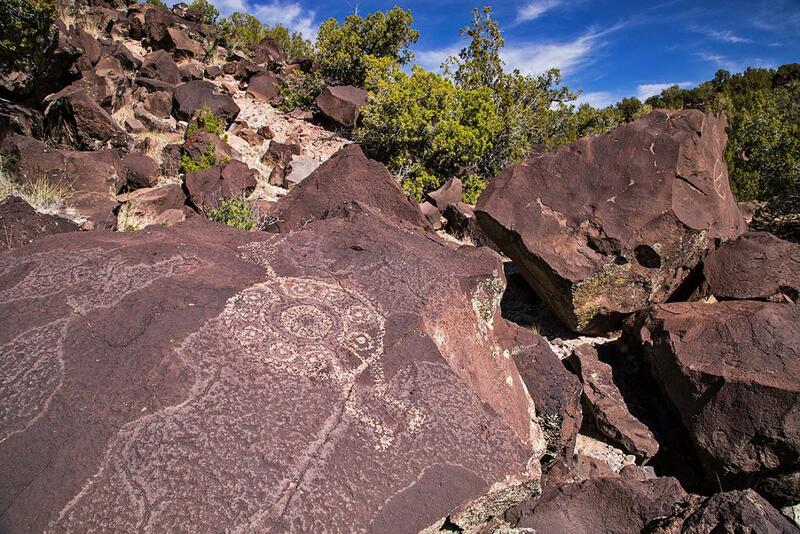 The 181-acre preserve has seven trails and contains approximately 10,000 petroglyphs.